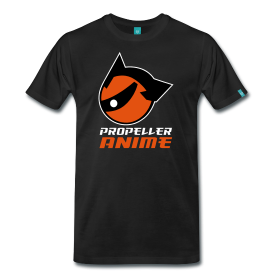 Propeller Anime: Thanks for coming to MegaCon! We're not done yet! This Saturday at 4PM at A Comic Shop, we are hosting "It's MANIME! Theater!" 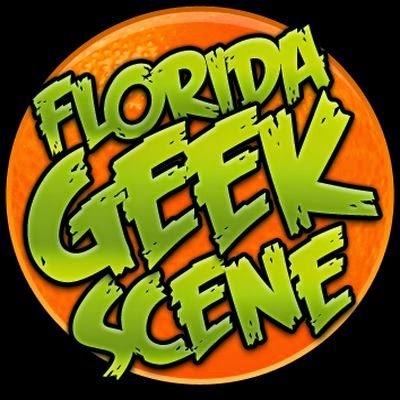 we ended up not being able to do this at MegaCon as scheduled but we will have this awesome event on Saturday. You can read more about it here and RSVP on Facebook. You should also watch this amazing video put together by our friend Andrew Cook from Pretentious Internet Theater. 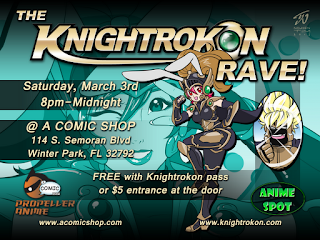 On March 3rd is Knightrokon at the UCF Student Union! 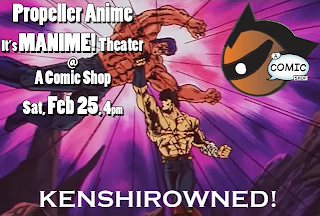 It's only $5 to get in and features guests Wendee Lee and Kyle Hebert, a dealers room, a murder mystery, Whose Line Is It Anime, costume contest and many other events! Propeller Anime will be there to host Iron Cardboard Robot Cosplay at 1:00PM in the Pegasus Ballroom and a new edition of "10 Anime Classics Everyone Should See" at 4PM in Sand Key. We'll probably have a table too! 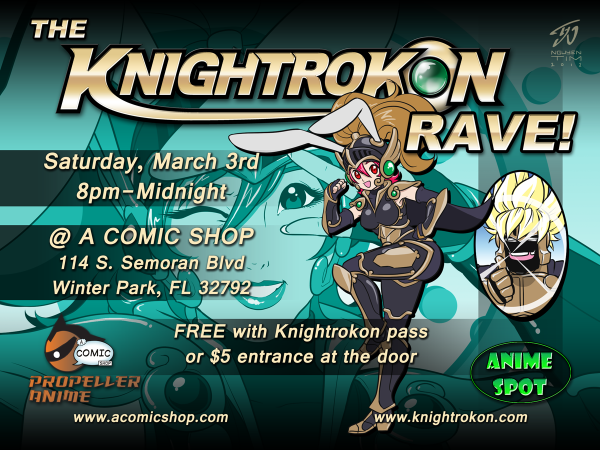 We are also helping out with Knightrokon by co-hosting the Knightrokon Rave at A Comic Shop. They can't do a dance at the UCF student union so we are moving the party down the street! It's free to get in if you have a Knightrokon pass or $5 at the door. You can RSVP to the dance on Facebook! 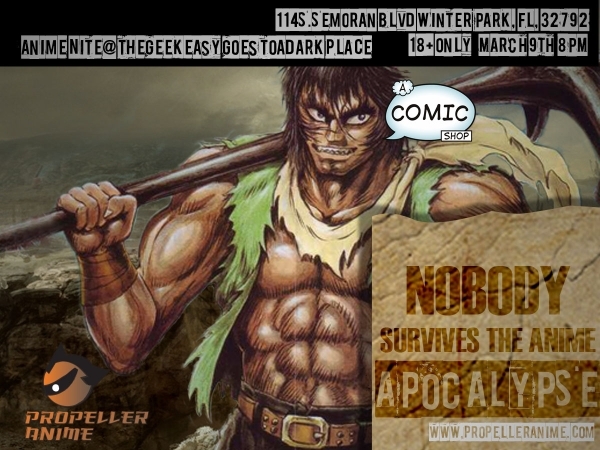 Then on Friday, March 9th is our monthly Anime Nite @ The Geek Easy. We are going to a dark place this time and NOBODY Will Survive the Anime Apocalypse.This event will be 18+ due to the graphic nature of the event. 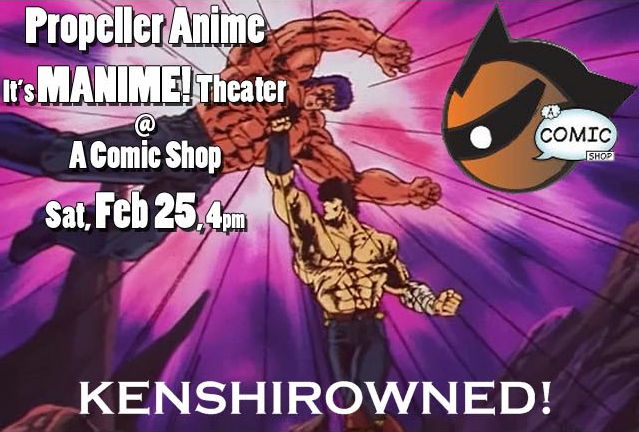 The anime we're showing that night will be very brutal and certainly not for the weak of heart. This will be a showcase of the dark side of humanity after the fall of civilization. You can RSVP on Facebook. 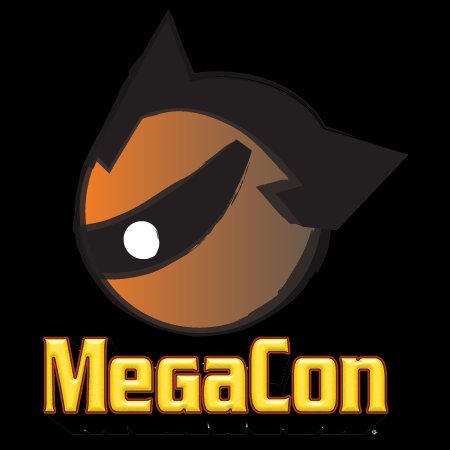 So in summary, thanks for seeing us at MegaCon and keep February 25th, March 3rd, and March 9th free to hang out with us! We hope moving forward that some of you can help us out with making our events more awesome. We'll talk more about that this weekend!